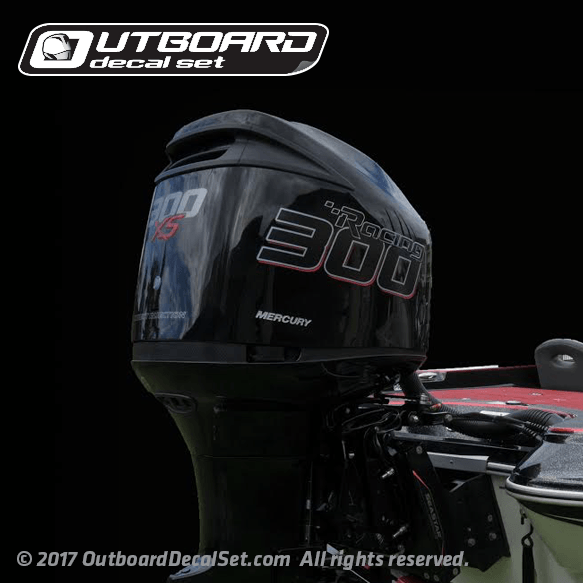 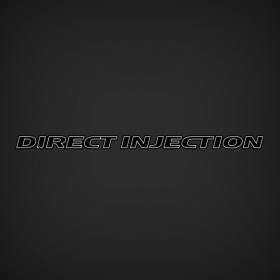 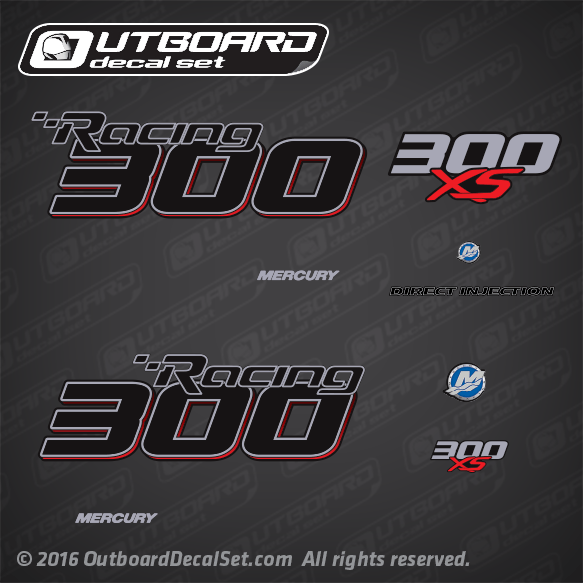 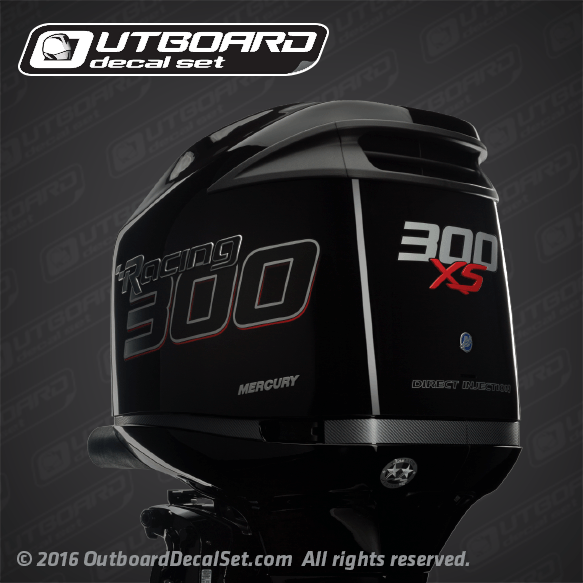 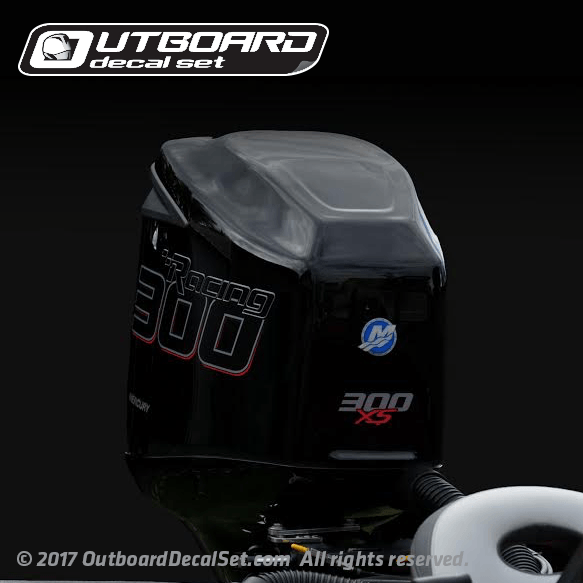 2016 2017 Mercury Racing 300 hp Optimax 300XS decal set replica. 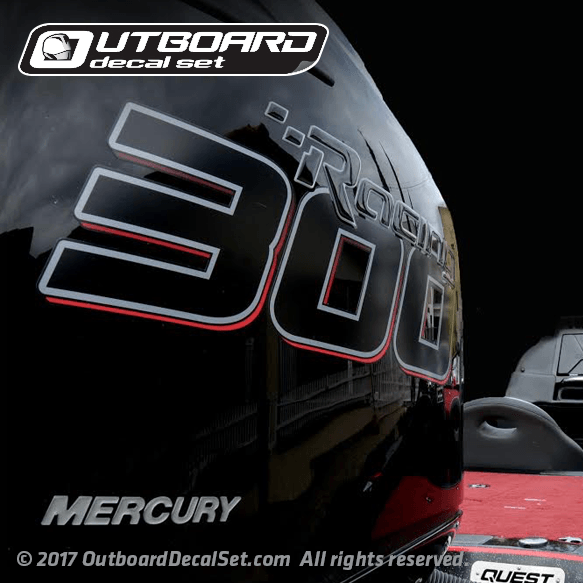 Sold as Domed decals but are not OEM. 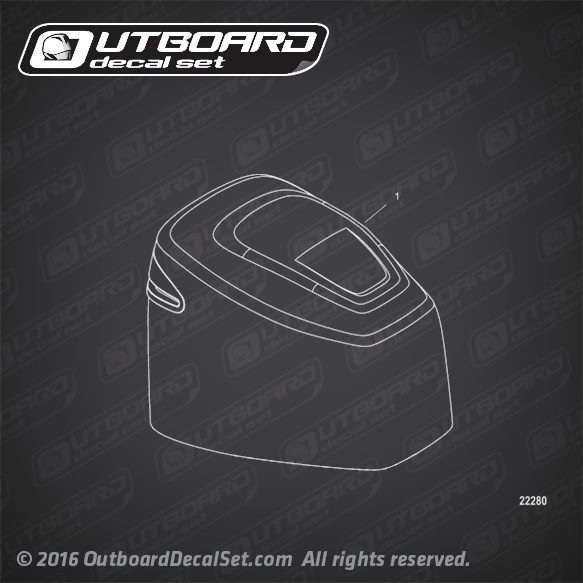 DECALS ARE SOLD AS DOMED/RAISED GEL EMBLEMS BUT ARE NOT OEM.